AT – What is it? AT – Is it for me? We are dedicated to sharing this important and fascinating work with you in the clearest and most useful ways possible. We have both completed a full-time three year training course, have taught extensively in private practice and have been involved in the training of new Alexander teachers. We are members of both Gesellschaft für F.M. Alexander-Technik Österreich and The Society of Teachers of the Alexander Technique and adhere to a published code of ethical and professional standards. Regina Stratil trained 2011-14 with Karen Wentworth in London. After graduation she set up a private teaching practice at Student Central in Bloomsbury and the Alexander Technique Imperial Wharf centre, London, where she taught until her relocation back to her native Austria in June 2018. She gave regular introductory workshops at the Alexander Technique Imperial Wharf centre and led or assisted with a number of Alexander Technique workshops for special groups, like writers, AT teachers interested in Aikido, Parkinson’s Disease sufferers and carers, actors, singers, musicians, riders, radiographers, mammographers and sonographers. She was teaching at two teacher training courses in London – The Alexander Technique Studio and the Constructive Teaching Centre – for a term each in 2017 and 2018. From 2016-18 Regina and three colleagues pioneered an initiative to explore teaching the Alexander Technique (AT) to individuals with a with Parkinson’s Disease (PD) diagnosis. As part of this pioneering group Regina gave workshops and individual lessons to people living with PD and their carers and helped to organise specialised post-grad training for AT teachers. More on this initiative here. 2014-18 Regina was part-time assistant to the manager at the Walter Carrington Educational Trust and archivist at the Walter Carrington Archives. 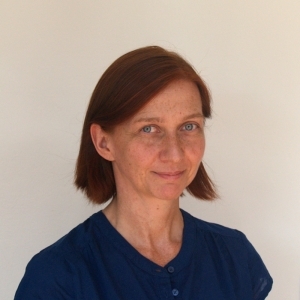 She has a particular interest in the history of the Alexander Technique and is currently researching the life and work of Irene Tasker, an early and influential teacher of the Alexander Technique. Since 2014 she has also been working for the Alexander Technique publishing company Mouritz. Regina graduated from Vienna University with a Mag. phil. degree in Historical Comparative Linguistics and has worked as a computer programmer, ran her own courier business – driving a little van all over Europe – and was employed as a very busy print production manager at an international mail order company before moving to London to study the Alexander Technique. She practises Aikido, a Japanese Martial Art, for more than 25 years and currently holds the rank of 4th Dan Aikikai. Jean M. O. Fischer trained 1984-87 in his native Denmark. After two post-graduate terms at the Constructive Teaching Centre (CTC) in London in 1988, he taught for one year at CTC. Between 1990 and 1995 he lived in Leeds where he taught for five years at the North of England Teacher Training Course in the Alexander Technique. He has been assistant director at The Alexander Technique Studio’s training course in London 1997–2012. 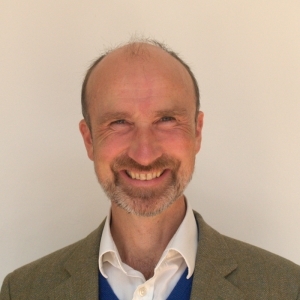 He taught at the Constructive Teaching Centre (CTC) 2011–2015 and has given CTC workshops at the International Congress of the Alexander Technique in 2008, 2011, and 2015. He gave the F. M. Alexander Memorial Lecture in 2013. He has given various other workshops for teachers and the general public since 1989. Jean started STAT Books in 1990 (which closed in 2002) and was its manager for many years. He has edited and/or typeset and arranged the publication of a number of Alexander Technique books. He is also publishing books on the Alexander Technique under his own imprint, Mouritz, since 1995 and has written a number of articles on the Alexander Technique. He was co-director of the 7th International Congress in Oxford, 2004. He is a member of the Council of Directors of the International Congress for the F. M. Alexander Technique. He was archivist of STAT 1991-2009. He was member of STAT Council 2006-2009. He was Centre Manager of the Alexander Technique Imperial Wharf Centre 2011-2018. He gave private lessons 2006-2018 at the Pimlico Centre for the Alexander Technique until he moved to Graz, Austria, in June 2018, where he is now teaching. In 2018 he launched the Mouritz Companion to the Alexander Technique, a detailed resource on Alexander Technique subjects, covering over 1,100 articles and over 160 books.